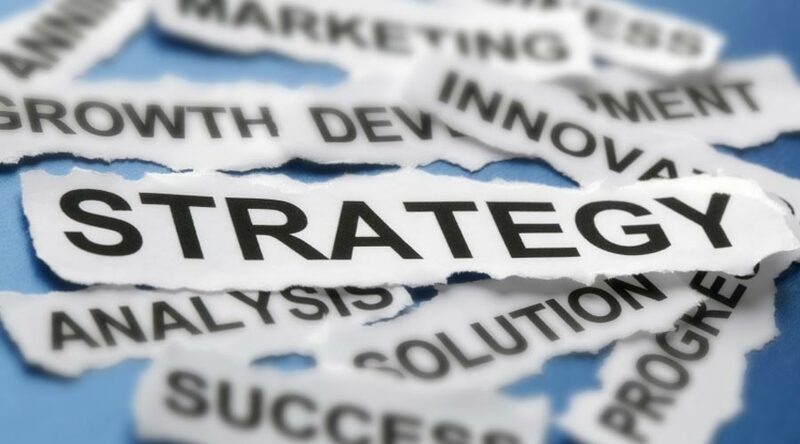 All of the Reports are now published for February's "Corporate Policy and Strategy" Committee; it meets at 10am, next Tuesday, 28th February. I think you’d need to be inhabiting a wholly different world from the one I live in, not to be aware that trust between the electorate and those of us either elected, or employed, to serve that electorate, has broken down badly in recent years. 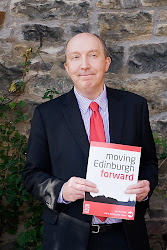 And it was clear when we formed our local Labour/SNP coalition administration in Edinburgh, following the last 2012 Scottish Council Elections, that business as usual wasn’t an option; we had to change the way we did things. As an incoming Council Leader, I knew there was no time to waste in ensuring that we had a clear, unambiguous programme for governance. And not just as a Council Leader, but also as a ward councillor, and a member of my local community, I understand the scale of the challenges that we are all facing locally. Many communities are disengaged from local democracy; Councils can seem like distant bureaucracies; and, as organisations, we constantly struggle to manage significant funding reductions just as local people are putting more and more demand on local services. So – back in 2012, we agreed a clear set of some 53 commitments, in a new ‘Contract with the Capital’. That contract was openly published, and within weeks, the ‘monitoring against delivery’ of our promises was live and very visible via the main Council website … and continues to be so, with six-monthly reports going to Full Council Meetings. And yes, Scottish Local Government had already changed substantially, back in 2007, with the introduction of a proportional voting-system: STV-PR with multi-Member wards. But that change was mostly in terms of political make-up (structural change) … and deeper cultural change, in the way politics was conducted, was clearly going to take a little longer; and much more effort to instigate. So, we also committed to becoming a ‘Co-operative Council’ – we wanted to encourage not just local communities, but our many partners and those using our services, to become more involved in how those services are planned, managed and delivered. That meant looking at new ways of delivering services but it also meant co-operating with other agencies, other cities and crucially, the people of Edinburgh: doing things with them and not doing things to them. We established the first Petitions Committee at the Council. That Committee is chaired by a Member of Edinburgh’s Opposition, Green Group. This has helped enable local residents to have an additional channel to raise issues of concern, with their elected representatives, and directly with the Council. We completely overhauled our scrutiny function; and established a new ‘Governance, Risk and Best Value Committee’; again Chaired by a Member of Edinburgh’s Opposition, Conservative Group. 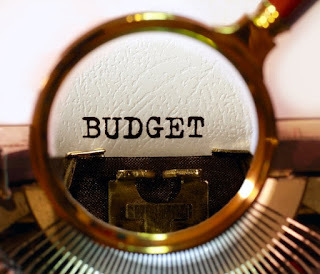 We also completely revised our budgetary process, which led to the publication of draft budgets – for the first time in decades, in Edinburgh – and further allowed several months of public consultation, each year, all prior to setting any final budgets. And last – but by no means least – we’re now webcasting (both live and archived) all of our Full Council Meetings, and an increasing number of our regular Committee Meetings. I’m now frequently challenged about previous comments and commitments – and that has to be good for local democracy. And I firmly believe that the co-operative principles of empowerment, equal partnership, and collective action offer a positive route to not simply survive through tough times, but to enable local communities to thrive, supported by relevant and meaningful local public services. The cumulative impact of all these considered-changes has been fairly significant - and, I would argue, we have re-gained a renewed sense of engagement with residents. There is a new political narrative within the City Chambers here in Edinburgh; the political culture (and not just the structures) has now, most definitely changed --- and changed for the better. New CCIN Chair ... "How do our co-operative values continue to shine a light on today’s problems?" Thank you for the honour and privilege you have given me in electing me as Chair of the Co-operative Councils’ Innovation Network. I have been involved with the Network since its earliest days and look forward to playing my part now in shaping its future. Our Stevenage motto sums up exactly why the Co-operative Council model is so right for us and the way we work with our community. Stevenage New Town celebrated our 70th birthday in November last year, we were the UKs first post-war new town, built to deal with the acute housing shortage after the second world war. New Towns quickly focussed on building new homes and providing the strong economies that brought good jobs. Consequently, when the new residents moved to Stevenage they found little in the way of community services. 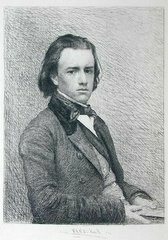 These early residents soon began to work together to secure the services they needed and this spirit of co-operation is woven into the fabric of Stevenage. Seventy years later we face the greatest period of change and uncertainty that we have seen in the post-war years, the aftermath of long years of austerity that have seen public finance decimated, Brexit and the complexity of Britain establishing a new identity, a turbulent political world where the evolution of democracy and party politics seems to have been replaced by a series of earthquakes, the relentless march of technology, and a geopolitical situation which seems ever more uncertain and threatening. 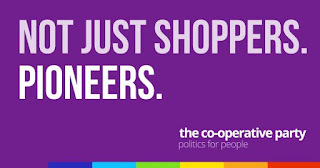 So how do our co-operative values continue to shine a light on today’s problems? How are they relevant, especially at our local level, to creating places that work for the communities and people that live, work and visit them and which harness the passion, commitment and ideals of our communities to bring economic, environmental and social ‘dividends’. We know that people respond most strongly to those things which most closely affect their daily life. The area they live in, the health care, education, housing, leisure and quality of environment that they are able to access locally are all considered to be vital components in people’s perception of quality of life. But the ability to influence decision-making on all of those is vital too. We know that for decades people have felt more confident in their local council to take account of their views than they do of Westminster politicians, but we must never be complacent about that -this was part of the driving force behind setting up the Co-operative Councils’ Innovation Network. We want to reclaim the traditions of community action, community engagement and civic empowerment which can transform communities and which will help us deliver radical and innovative programmes that are designed, led and delivered in partnership with communities and therefore maximise the social benefit they bring. It has also always been the purpose of the Network to share our developing good practice and to support one another in our co-operative aims and values. 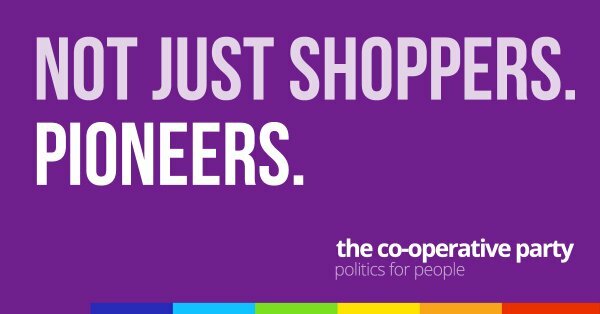 The vital thing about co-operative councils is that they should, and will, look different around the country, because each place is different. We have different challenges, histories and economies and there is no one right answer to these. What we are doing in the network is proposing some of the characteristics of Co-operative places, people and public services. Please let us know what you think of these, they will be stronger and more enduring if we all contribute to them. In Stevenage we are coming to the end of our first phase of a radical innovation in co-operative neighbourhood planning and management. We were faced with a regeneration need in the local neighbourhood centre which consisted of a row of dilapidated shops of which only two of four were in use, poor quality housing above the shops, a pub which had ceased to be viable and, although treasured by some community members, had ever-dwindling custom and a building which required significant investment. The neighbourhood centre also housed a well-used and well-run community centre with an active committee but which also had some limitations because of the nature of the building. As we began to consider how to tackle these challenges, we were fortunate in that the local residents group had increased in membership due to a project to refurbish three large community-use squares. This group was keen to get involved in the planning and delivery of the regeneration project. We also had the benefit of a local, and very active group, ‘Friends of Hampson Park’ who were helping improve the environment in the local Hampson Park. 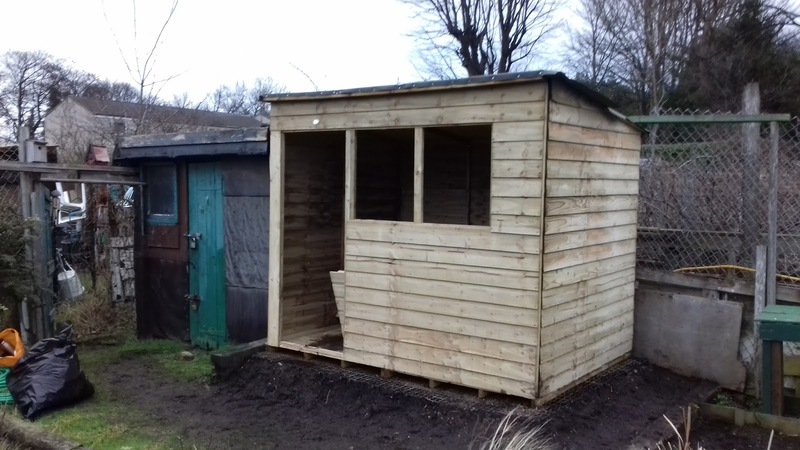 The other happy coincidence in this project was that one of our three excellent local councillors for Pin Green has a background in town planning and was able to help with the facilitation of the co-operative neighbourhood planning process that ensued. It is a feature of co-operative council engagement with communities that they must be able to effect change. The Council had envisaged that the Community Centre would stay on its original site as the regeneration happened around it. But our community had other ideas. They requested the community centre be rebuilt on a new site in Hampson Park and extended to include additional space and a coffee bar for park users. So three years on from the very start of the planning and via a wonderful process that has involved so many groups, individuals and the local businesses, the area is now transformed. We have two new purpose-built shops which face the main road (instead of being tucked around behind the pub where no-one could see them and there was no passing trade), we have delivered eight new council homes already with another twenty-two to come early this year. The community centre has been built on its new site and is already thriving. In addition to this the community engagement and dedication to the park has earned Hampson Park a coveted ‘Green Flag’ status, we have been able to refurbish the children’s park and build a brand new open-access Skate Park on the site for all ages to enjoy, very significant community dividends which benefit everyone in Pin Green. Most importantly, we have learned so much through our engagement with our community. Friends of Hampson Park, and our other community activists wanted to reach out to a much wider group of residents so they organised a huge ‘Teddy Bears Picnic’ in the summer where we were able to encourage the 700 people who attended to contribute to the planning exercise as well as enjoying the many family activities on offer. Young parents often find it difficult to attend evening meetings because of other commitments and this was a great way to engage them as well as other residents who work shifts or prefer not to go out in the evenings. We continue our co-operative work in Pin Green and this year we will roll out what we have learned to two new wards. To help us manage the increased input we now get from residents about their area, we have engaged a small group of neighbourhood wardens who will work with our community and their local partners like the neighbourhood policing team, community centre manager, local businesses etc to ensure the council plays our part in getting things done. Friends of Hampson Park, our ‘Green Space Volunteers’ have won a ‘Pride of Stevenage’ award for their work, our residents forum has won two national awards and both are now sharing their experience and the expertise they have developed to help other areas of Stevenage. It has been a huge pleasure to participate in this project which has been the embodiment of ‘Co-operation in Action’. The Council passed its 2017/18 budget last Thursday, which included an allocation of £29.1m to be spent on affordable homes in the capital. The Council also plans an increase in council house rents of 2% in the new financial year. The Council further confirmed that they have invested over £600m in new affordable homes, £120m on improving the quality of existing homes, along with energy efficiency improvements, as well as bathroom and kitchen upgrades. But the ongoing pressures in the housing market, and the urgent need for more affordable homes in our city, are both well documented. Here at the City of Edinburgh Council, we are meeting these challenges head-on, with the HRA (Housing Revenue Account) Budget Strategy setting out an expansion and acceleration of the Council’s house-building programme. With our partners we will deliver 16,000 new affordable and low cost homes over the next 10 years. Work here is well underway with 4,000 affordable, and low cost homes, already under construction by the Council and housing associations on almost 70 sites across the city. However, building new homes is not enough on its own – we are also committed to creating great places for people to live and prosper. We are serious about tackling inequality from all angles. The strategy looks holistically at tenants’ outgoings and seeks to invest in homes and services to reduce overall household costs and improve our tenants’ quality of life. The 2017/18 Housing Budget consultation showed overwhelming support from tenants for the plan, with 4 out of 5 respondents supporting at least a 2% rent increase in order to deliver this strategy. I’ve been in the role of Housing Leader for nearly four months and am really proud of the progress being made by the housing service. Our strategy is to keep rent levels stable whilst delivering the most innovative and ambitious housing investment programme in the country, and – critically – delivering on tenant priorities. ... the "shed reconfiguration project" has rather incredibly made some *very* significant progress! The City of Edinburgh Council will continue to prioritise frontline services for young, older and vulnerable residents while making necessary savings under the 2017/18 budget, set on Thursday. During 2017/18 the Council will deliver several key projects benefitting citizens, including beginning construction on an additional school in South Edinburgh and a new Meadowbank sports centre, as well as increasing spending on roads and pavements. 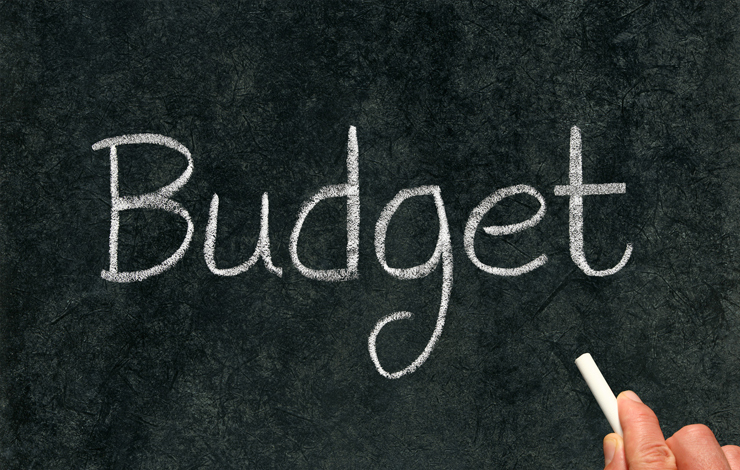 By focusing on transformational change and strong financial management the Council has set a balanced budget for 2017/18 and an indicative balanced budget for 2018/19 despite a rising demand for services and severe financial constraint. This follows the approval of a four-year budget framework in January 2016, which focuses on the services that matter the most to people, as indicated by consultation with the public. Councillor Alasdair Rankin, Convener of the Finance and Resources Committee, said: “In 2016 we approved a four-year budget framework which drew on feedback and ideas from the public, and this year’s budget continues to reflect residents’ priorities. 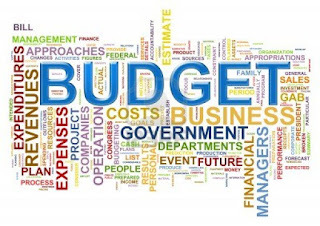 While this year’s budget has been set against a backdrop of increasing service demand and continuing real-terms funding reductions - resulting in a need to make significant additional savings - an extra £12m towards the Council’s budget was announced last week (Thursday, 2 February). This will allow more spending in areas such as roads and pavements, building maintenance and addressing the impacts of rising school rolls, as well as reductions to planned savings across libraries in 2017/18. In addition to income linked to the Scotland-wide increases in Council Tax for higher-banded properties, extra resources will be made available to the Council through a 3% increase in Council Tax – the first such rise in nine years. Feedback has shown the public to be generally in favour of a rise in Council Tax to enable the preservation of essential services. Investment in new projects approved today (Thursday) include the £12m refurbishment of North Bridge, £7.8m to address the costs from rising school rolls and an extra £2.5m to spend on roads and pavements. In addition, Councillors agreed an updated 2016-20 Business Plan for the Council. Members also received the results of a period of engagement held towards the end of 2016, when the public was asked to submit ideas and feedback on how the Council can deliver services more effectively, based on budget commitments agreed previously. Responses submitted across a range of channels focused on the delivery of library and community services, online resources and leisure activities, as well as ideas on street cleansing, road maintenance and cycle infrastructure. These will now influence improvement plans for each of the city’s Localities. This year the Council has a budget of £968m and will continue to prioritise investment in key frontline services and outcomes while making savings of £38m. 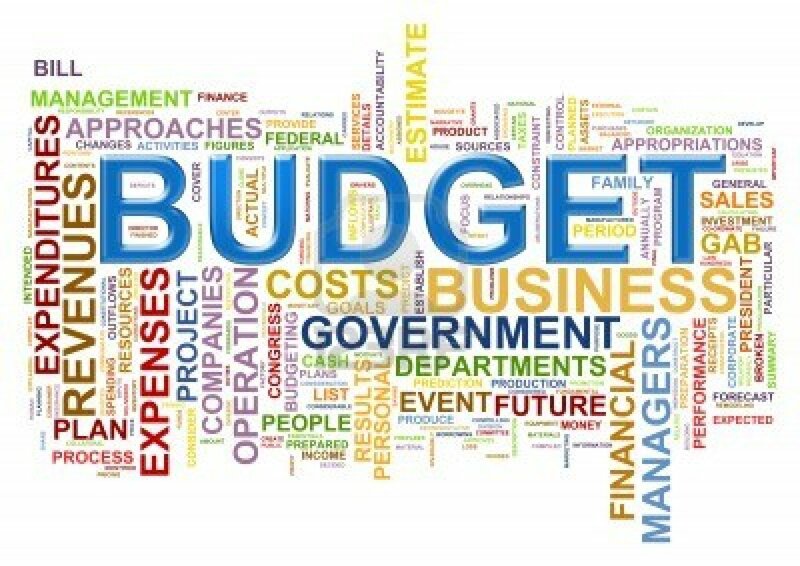 Following my various, earlier, posts on tomorrow's Council Budget for 2017/18; there are now updated, and some Opposition, Budget Motions on the Council website: all accessible via this link. 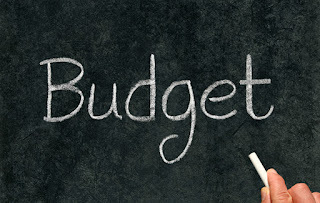 Prioritising education to ensure both schools and services for vulnerable children are protected in next year’s budget is a key target for the Capital Coalition. Despite the severe financial challenges from rising demand for Council services and this year’s Local Government Settlement I’m delighted we have set out a clear strategy for achieving this. 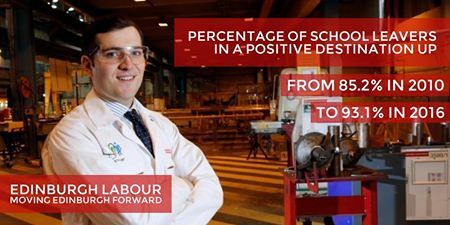 It’s important we focus our investment where it is needed most which is why we are allocating £6.7m to tackle rising school rolls. In the past four years we have delivered an additional 74 modern, high quality class spaces in our primary school estate to ensure our children’s first class education continues. Building new schools is another key area so there is £12.7m set aside for a new primary school in south Edinburgh. We have already seen the benefits of brand new schools with state-of-the-art campuses at James Gillespie’s and Portobello High Schools opening in the past six months. We have set aside £16.3m for capital projects this year including the new Boroughmuir High School, replacement of St Crispin’s Special School and a new St John’s RC Primary School. In total over £100m has been invested in Wave 3 schools over the term of the Capital Coalition. And it’s not just our schools where we are focusing our resources. Just last week I joined excited nursery pupils as work started on their early years centre in Granton – just one of half a dozen new nurseries being funded by the Council this year as part of a £6m investment. Our exams results improve year on year and the Edinburgh Guarantee has supported 2,127 additional young people into jobs and apprenticeships with over 500 employers large and small. Additional savings identified in the budget means that £2.9m of pressures within Communities and Families have been addressed so additional revenue can now remain in both fostering and adoption services. So despite the continued pressures I believe we are sending out a clear message that the Capital Coalition is putting schools and our vulnerable children at the heart of budget planning. We are committed to serving the public’s needs, and over the years we have increasingly asked residents which services they feel are most important. Time and again we are told by people how much the condition of the city’s roads and pavements matter to them, so it’s something we take very seriously. This year we have managed to secure an extra £2.5m to invest in our streets on top of a planned £18.5m – meaning we’ve got £21m to spend on maintaining and enhancing the public realm for everyone. Spending on transport infrastructure should benefit all users – whether they are drivers, public transport passengers, cyclists or pedestrians. As ever, we are committed to maintaining our roads and pavements to an acceptable standard. I know how frustrating surfaces riddled with potholes or cracks can be, and we will continue to address that under this year’s budget, focusing on a new, preventative approach which will see more work carried out and the slower deterioration of surfaces. We’ll also be able to tackle some of the major ongoing projects like the £400,000 resurfacing of Brighton Place in Portobello, the replacement of setts on Frederick Street, for which we’ve budgeted £1m, and the transformation of Home Street, improving the area for pedestrians, cyclists and drivers. This year the proportion of the Transport budget spend on cycling will rise to 10%, reflecting our aspiration to make Edinburgh a cycle friendly city and enabling the Council to continue spending on projects like the City Centre West to East Link, which we hope will open up travel by bike to many more people. In Edinburgh we are making real strides to promote active and sustainable travel and the impacts of this are clear, with car ownership falling, a continued increase in the number of people travelling by foot and an estimated 7.3% of journeys to work made by bike – up 50% from 2011. What’s more, our award-winning public transport system is carrying more passengers than ever – Lothian Buses transported more than 121 million people in 2015, while nearly 5.4 million passengers used Edinburgh Trams in its second year of operation. We really are looking to the future of transport in Edinburgh, which is clear from our investment to redesign streets in favour of walking, cycling and public transport. That said, we recognise the needs of all road users, and are always exploring efficient, sustainable ways of making the journey smoother for everyone. ... the actual meeting starts at 10am on Thursday, and all of the detailed reports are now up on Committee Papers On-Line (CPOL), and you can access the main agenda directly here; and each of the individual reports separately via this link. And, of course, if you're so minded - you can watch all the proceedings live here and/or the meeting will be archived a few hours after it finishes. ... well - to be completely factual about all of this; please do check out paragraph 3.4 of this 'Revenue Budget Framework' report, which is going to the Council Meeting on Thursday. As you'll read - that paragraph makes it abundantly clear that the City of Edinburgh Council was about to receive some £37.1million less in revenue this year from the Scottish Government, than we received last year. ... well, the draft figures have now changed - and the revenue reduction we're now receiving from the Scottish Government is £27.1million this year, in comparison to last year. ... this is still the worst settlement since devolution, and those MSPs who voted through Stage 1 of the Scottish Budget at Holyrood last week were approving a year-on-year reduction of £27.1million in revenue for the City of Edinburgh Council. No amount of spin can hide that rather depressing statement of fact. As indicated on Wednesday, we're publishing this morning - a week prior to actual Budget Day - the final draft of our revised budget proposals for 2017/18. The actual Reports for the Budget debate are now all available on-line via here, along with the Coalition Motion. I think the motion (as re-produced below) speaks for itself ... and it will now be debated at the Budget Day Council Meeting, 10am on Thursday 9th February, to be webcast here. There's just no doubt that, for the whole 18-years I've been a local Councillor, this is the most challenging budget we've ever had to set - I blogged about this being the worst revenue settlement since devolution, in early December, when the Scottish Government announced its draft plans. And despite last-minute changes, that blogpost, sadly, remains true --- we're still receiving some £27.1million less revenue from the Scottish Government this year, than last, to spend on services. Of course, I understand this is all a choice the Scottish Government is perfectly entitled to make - but what's so devastatingly galling is that other choices were available, which would have completely negated the need for any year-on-year revenue reduction. ... but please spare me any further spin about this being a reasonable settlement ... it's the complete opposite, and Government Ministers should have the good grace to at least acknowledge that undeniable fact. The UK Government remains committed to further years of public sector austerity, far beyond the timescale originally announced in 2010, as the Autumn Statement showed. This is the context for the Capital Coalition budget for 2017-18 which has been substantially shaped by many years of severe financial constraints and rising demand for Council services. The Local Government Finance Settlement, announced on 15 December 2016 by the Scottish Government, will result in an overall grant funding reduction for Edinburgh of 5.2% (equivalent to £37.1m) in 2017/18 compared to 2016/17, before factoring in the additional income available from the changes to Council Tax bandings. When that additional income from the Scottish Government’s changes to Council Tax bandings E-H is included, raising some £16.1m, the reduction falls to 2.9%. This level of reduction is slightly greater than the 2.5% the Council had planned for when the budget framework was reviewed in September last year. The Scottish Government is also making available funding from the Education Attainment Fund and there is additional money for Health and Social Care for the Edinburgh Integrated Joint Board (EIJB) which will help support local services. The Capital Coalition has included a 3% Council Tax rise in its calculations. Council notes the Scottish Government’s Budget announcement on Thursday, 2 Feb setting out some revised figures for local authority revenue and capital funding. Council welcomes the announcement and notes that any centrally adjusted settlement will be taken into account, as part of the finally agreed 2017/18 local budget, at the Council meeting on 9 February. There remains, however, a continued need for transformational change and strong financial management if the Council is to achieve a sustainable budget over the medium term. Despite past and remaining major financial challenges, much has been achieved by the Council. As we approach the end of the current administration’s term in office, with the local government elections on 4 May 2017, this is an appropriate time to reflect on the achievements of the Capital Coalition over the last five years. · Shifting resources to front-line services, protecting citizens from the full impact of reduced resources. · Delivering credible longer-term financial planning. Despite mainly receiving single-year settlements, the Capital Coalition has set a four-year revenue budget framework and has a long-term financial plan in place. 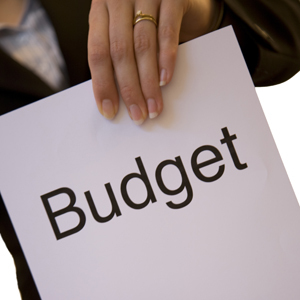 · Adopting an open and transparent approach to budget setting. 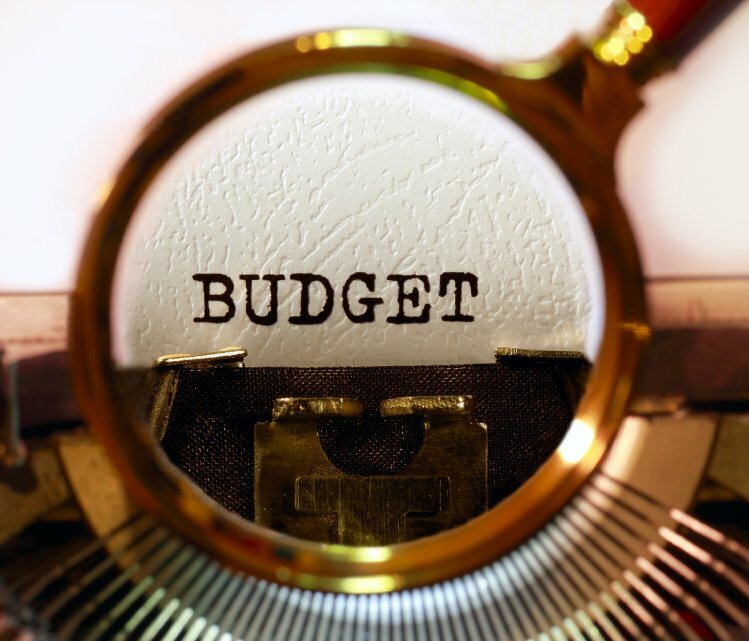 We have completely revised the budget process, publishing our draft budget several months in advance and engaging in extensive budget consultation with the public, giving citizens a greater voice than ever in deciding and scrutinising how public money is spent. In response to feedback from this and previous years’ consultations, the Council has listened and made significant changes. · Taking an open and accountable approach to decision-making. We have webcast all Council and Executive Committee meetings live, creating a permanent record of Council debates and decisions which are archived and publicly available for viewing on the Council website. · The establishment of a more powerful audit committee – the Governance, Risk and Best Value Committee – which is chaired by the opposition, scrutinises key Council decisions and holds the administration to account. · Introduced the Living Wage for all Council staff within nine months of the start of the Capital Coalition’s term in office, benefitting around 2,500 individuals, and achieving accreditation as a Living Wage employer in 2016. The Council also continues to encourage the adoption of the Living Wage by contractors and other businesses in Edinburgh. · The establishment of a no compulsory redundancy policy, maintained despite sustained financial challenges. · The construction and opening of state-of-the-art Wave 3 schools including the new Portobello and James Gillespie’s High Schools. 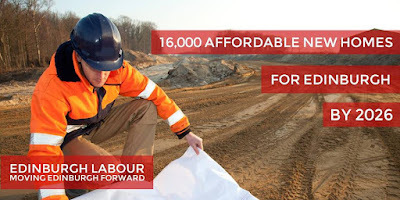 · Over £600m invested in new affordable homes, resulting in 5,234 affordable homes being completed by the Council or in partnership with housing associations on brownfield sites across the city. £120 million has also been invested in improving the quality of existing homes. This investment has included the delivery of over 14,000 energy efficiency improvements (including heating, new windows and doors and insulation measures) and over 6,500 kitchen and bathroom upgrades. · The creation of the Edinburgh Guarantee which has directly supported 2,127 additional young people into jobs and apprenticeships with over 500 employers large and small. · A new approach to ensuring that local people are at the heart of Council services through the Localities structure, with more decision-making power being progressively devolved to local areas and people. · The use of participatory budgeting in localities, empowering local residents to choose their own budget priorities. · Completion of the tram project with the opening of Edinburgh Trams in May 2014. · A huge increase in expenditure supporting cycling, amounting to 9% of the transport budget in 2016/17. · The largest energy conservation programme undertaken by the Council through the RE:FIT scheme and establishment of an arm’s length energy company “Energy for Edinburgh” which will help to deliver the Sustainable Energy Action Plan, reducing carbon emissions. · The completion of the Atria office development, allowing expansion of the Conference Centre, providing much-needed Grade A office space and generating a substantial financial return to the Council, which has allowed the funding of priority capital projects such as the new Meadowbank Sports Centre. This highlights just some of the achievements of the Capital Coalition. At the beginning of the Coalition’s term of office, in May 2012, the Capital Coalition Agreement set out in an open and transparent manner what it aimed to achieve through 53 pledges. A report to Council in December 2016 showed that all of these have been achieved or are on track. This demonstrates how much progress has been made, even in this unprecedented and challenging financial climate. The Council continues to reconcile the combined pressures of increasing, demographic-led demand, rising expectations, inflation and legislative reform with a level of resources that has been steadily reducing in real terms. · Reduced its overall level of borrowing by £100m between March 2014 and March 2016. At the same time as the Council has balanced its budget and made these unprecedented savings, service improvements continue to be achieved and successful outcomes delivered. 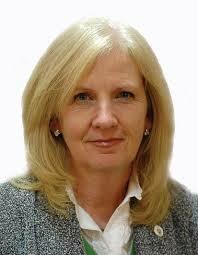 Audit Scotland has praised the Council’s management of its resources. Audit Scotland’s 2015/16 Annual Audit Report concluded that the Council’s overall financial management arrangements continue to be effective. Audit Scotland further stated that the Council’s longer-term financial plans go a substantial way towards addressing the financial challenges in the coming years. The role of elected members in financial management was also praised in the Audit Scotland report, which noted that members provide an effective level of challenge and questioning of budget holders where significant variances and service performance issues have been identified. The establishment of the EIJB has been a major change for Health and Social Care finances. The majority of the Health and Social Care budget is now delegated to the EIJB, however the EIJB Chief Officer has a direct line of responsibility to the Chief Executive and both Councillors and officers are members of the EIJB. This ensures that the Council retains a critical role in the oversight of the budget. By setting a balanced budget for 2017/18 and an indicative balanced budget for 2018/19 as part of the longer-term framework, the Capital Coalition continues to demonstrate its commitment to prudent financial planning. This year, budget engagement focused on building on the foundations delivered through the Council’s Transformation Programme. The total number of responses received was 1,983 which compares favourably with previous years given that the period of engagement was slightly shorter at just over seven weeks. The Council will continue to assess how it engages with the public on the budget. The success of the campaign builds on previous years’ achievements, including the innovative use of the budget planner in 2014, which generated the highest-ever response rate for a UK city using this approach. As a direct result of last year’s consultation, numerous changes were made including the removal of the proposal to reduce street crossing patrols, the reinstatement of the night noise team and maintaining music tuition in schools free of charge. The responses to this year’s engagement will inform the Locality Improvement Plans and the development of the Edinburgh 2050 City Vision. · £2.5m investment in roads and bridges. The Capital Investment Programme also includes £0.6m towards the early design fees for a new secondary school in Craigmillar with delivery of a new facility within a five-year programme. The Council is part of the bid to the Scottish and UK Governments for the Edinburgh and South East Scotland City Region for a City Region Deal. This aims to secure significant investment in infrastructure, skills and innovation to promote sustainable economic growth and a substantial increase in new, affordable housing. 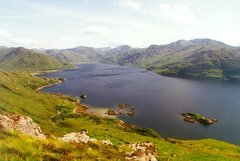 At its meeting in June last year, Council agreed the priorities for the City Region Deal that form the basis of negotiations with the UK and Scottish Governments. It is expected that a contribution will be required from the City of Edinburgh Council of up to £100m towards a City Region Deal. A further report will be considered by Council in the spring. The budget for 2016/17 included around £73m of savings and a balanced position for the financial year is forecast. The budget for 2017/18 includes just over £40m of savings which were approved in previous years as part of the Council’s approach to prudent financial planning. This means that a significant number of the critical decisions for 2017/18 have already been made. However, with confirmation of the funding from the Scottish Government and the emergence of some additional budgetary pressures during the year, further savings of just over £11m are required. These savings will, in the main, be met through Council-wide measures such as further reductions in agency and consultancy spend. Details of new proposals to deliver these savings have been made available to all political groups within the Council as part of the open and transparent approach to budget-setting. · Residual budget pressures of some £1.551m within Safer and Stronger Communities, allowing additional revenue to remain in both CCTV provision and homelessness services. In addition, scrutiny of officer proposals for plans previously agreed in principle has reduced the overall level of saving within the Library Service by over £1m (rejecting some 36% of the initial proposal), allowing all current facilities to remain open. Any impact on library usage will now be carefully monitored and kept under review. The Capital Coalition’s proposals have been developed in the context of the risks and challenges set out in the Acting Executive Director of Resources’ report included within the supporting papers for today’s meeting. · Continue with implementation of the Transformation Programme. · Continue to work with partners to secure funding for a City Deal for the Edinburgh and South East Scotland City Region and set aside up to £1m from the Council Priorities Fund to support further development of detailed plans. · Continue with the income maximisation work stream, with the Chief Executive reporting back progress to Council by June 2017. · Commission a review by the Chief Executive on a range of Community Safety initiatives, including the Council’s support to Police Scotland and the modernisation of the Council’s CCTV system, reporting back to Council.